Trainwreck is a Charleston-based power trio that plays crowd-pleasing classic rock and tasty funkified blues. 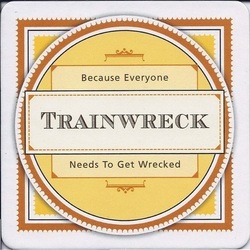 Trainwreck will get your fingers snapping and your booty shaking as it fills the house with a blend of time-tested favorites and contemporary hits. From Clapton and The Clash to Cake and Daft Punk, Trainwreck brings a full-on, boisterous entertainment package direct to your doorstep! Trainwreck is: Bert Ross (bass, vocals, guitar), Mike Dudek (guitar, bass, vocals), Steve Duke (drums). Come get your ticket to ride Because Everyone Needs To Get Wrecked!